I've gotten a new toy! 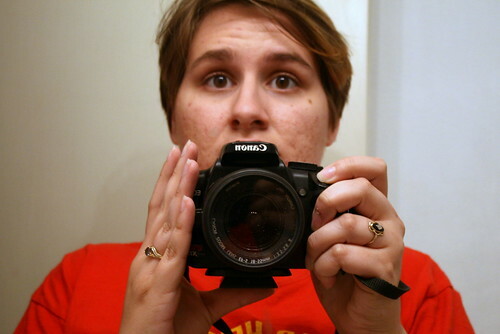 My dad gave me one of his old DSLRs so now I can cross that off of my 20 before 24 list as well! I plan on doing a photography project for the blog! I've taken a photography class before (let's be honest, I do have an art degree) but it's been so long that I need a refresher! This project will help out a lot with figuring out how to use the camera properly! I have lots of reading to do!